Hey everyone! I have another Slaydies Series Spotlight in store for you! This feature is on Suzi Toole, an Airsofter from Manchester, UK. 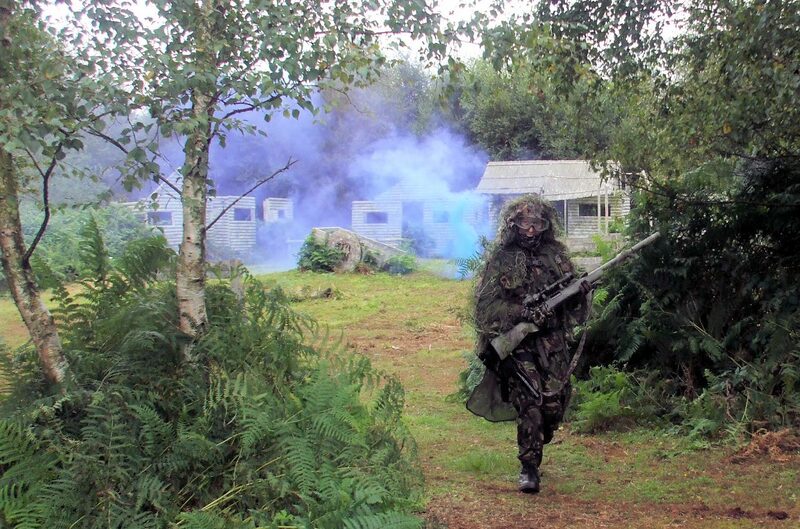 Hi Suzanne, thanks for taking part in the Femme Fatale Airsoft Slaydies Series Spotlights! Can you tell my readers a little about yourself? My name is Suzanne “Suemoo” Toole. I am 28 Years old from Manchester UK and I work as a college Biology teacher. I live on a canal boat in Wigan and when I’m not Airsofting I’m out on the motorbike or playing video games. 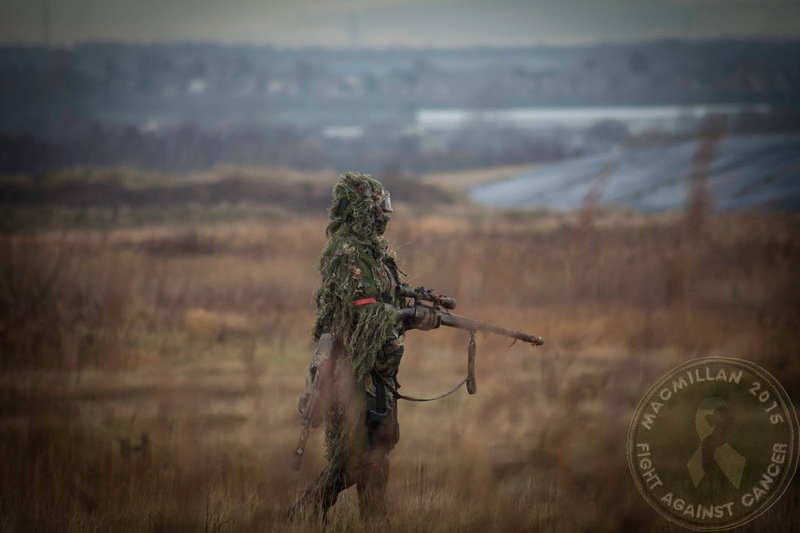 What got you into Airsoft and how long have you been playing? I’ve been playing for around 3 years. I played paintball a bunch of times but what got me into Airsoft initially was that I was looking into buying Wesker’s Samurai Edge M92F pistol from Resident Evil (because it’s one of my favourite series of games). I found out due to VCRA restrictions I would need a UKARA to buy one so I researched Airsoft, found a site about 4 miles from where I live, convinced the boyfriend to come along and we both absolutely loved it and never looked back. Now I own that Samurai edge and about 10 other weapons! What’s not to love? Firstly the awesome guns. Being a massive tomboy I’ve always had a bit of a gun fetish, I’ve been playing with toy guns since I was tiny so this was sort of a natural progression for me. The people are amazing, I’ve met some truly brilliant people and made some lifelong friends. 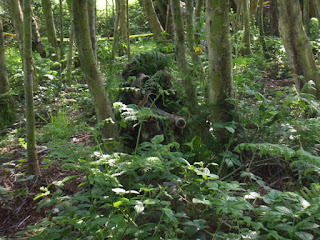 I really enjoy the thrill of the games, that sneaky bang kill, holding down objectives, fast paced CQB and the long range sniper shot between trees/pallets/impossible gaps. Love it! I flit between two local sites Military Outdoor Adventure in Wigan and Delta 3 in Skelmersdale. Taffy’s EX site in Mold was great, ridiculous hills though – be prepared for a leg workout! Farmistan run by Gunman Innovations is a good large site too. 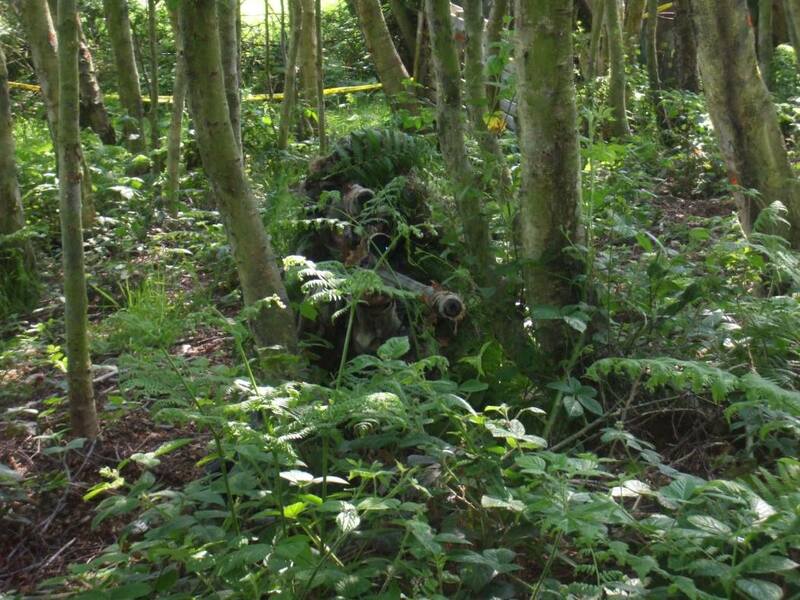 I also played a great MilSim at Nesscliffe Army Training Camp. Hoping to try out some more sites this year. Sneaky. Almost all of my weapons are suppressed, I ran with a TM P90 with a suppressor for the first year or so and was known for ambushes and flanking manoeuvres then I got into sniping about 2 years ago. I LOVE creeping about and taking out players and whole squads without them knowing where I am. The expressions of fear on other players is hilarious - it’s like that scene from Predator “There’s something in those trees!” Quite a few players have said they only see me in the safe zone at lunch and occasionally hear my psychotic laughter out in the field, otherwise I’m usually invisible. Weapons and Loadouts, talk us through them. 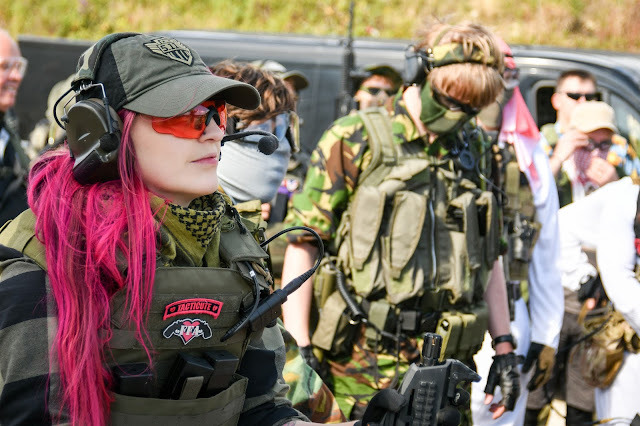 Being a woman in Airsoft, what are your experiences? Thankfully I have never really encountered any negative side to being a woman in Airsoft, you can expect a bit of light-hearted banter but I’ve never faced any kind of discrimination or sexism at any of the sites I have played at. If anything the best part of being a female Airsofter is that guys tend to underestimate me and then quickly learn the lesson - women with guns are fierce! Is there anything you'd like to say to other players out there? Any advice etc? Don’t rush out and buy a sniper rifle, a large proportion of players find out it’s not for them AFTER they have spent hundreds of pounds on a rifle and upgrades, harbouring the misconception that they’re going to be the Airsoft equivalent of Chris Kyle instantly. Sniping is 80% fettling with your rifle, 10% missing due to wind, scope/bb/hop issues and 5% people not feeling/taking the hit. Don’t get me wrong that 5% of the time when you land a long range shot through a tiny gap is amazing, if you want to get into sniping borrow one from a site or a mate first and don’t expect to be as good as Bodgeups in a week!